This professional quality screwdriver set is perfect for use in confined areas. The 6 screwdrivers have rotating ends which allows you to quickly and efficiently remove the screw without rotating your whole hand. 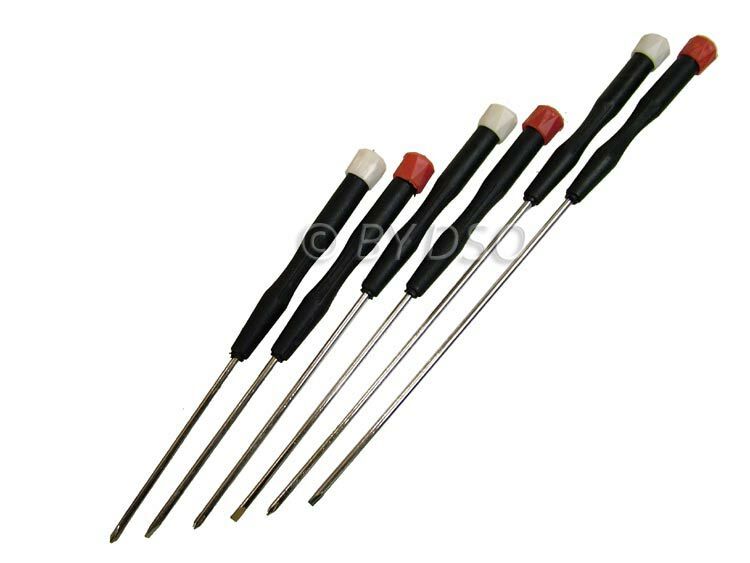 The set includes 3 x crosshead and three flat head screwdrivers with plastic ergonomic handles range from 167mm - 240mm in length. Ideal for the hobbyist, electrical trade worker and DIY enthusiast.